My boys loved the Mr. Pancake Head we made awhile back so we decided to make this Mr. Watermelon Head yesterday with fruit that we had in the kitchen. 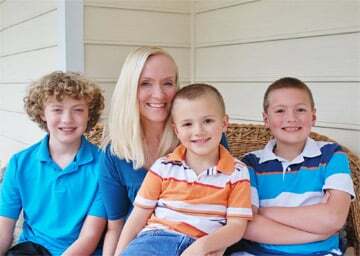 They absolutely loved him and he was pretty easy to make! 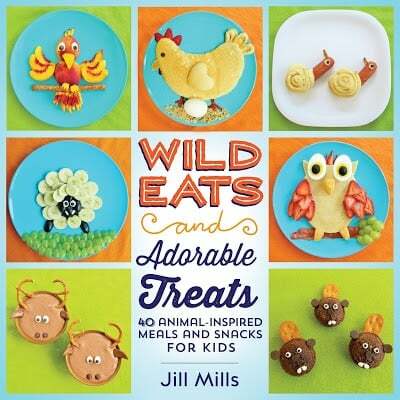 Kids will love helping make this and it might get your picky eaters to try some new and different fruits! 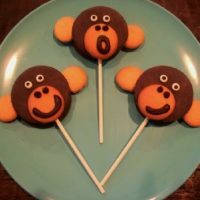 This would also be really cute for a kids party! I was bad about taking pictures with this one, but will try to explain in good detail. You can click on the Yodamelon link below for instructions on how to cut out the watermelon from the back. We first cut a small amount from the bottom of the watermelon with a knife so the watermelon would stand up straight without rolling over. We washed the watermelon really good because we were adding fruit to the outside. We cut the apple in half for the feet. We cut a clementine in half and placed those on the top sides with toothpicks. We attached on a strawberry nose with a toothpick. We cut several dark grapes and blueberries in half. We place the blueberries on top for the hat and place the dark grape halves around the edges of the hat. We placed grape halves under the nose for his mustache. They just stuck on, but use a toothpick is they slide around. We cut 2 grape halves in half again for the eye brows. We had a honeydew melon half and cut the ends off to make the eyes. Use grape halves for the pupils. We cut those with kitchen scissors. We then cut slices from the honeydew half. We cut off the peel and used that to make the arms. Secure them with toothpicks int he sides of the melon. We used extra peel to cut out the hands as well…we used kitchen scissors. We did the same for the teeth. 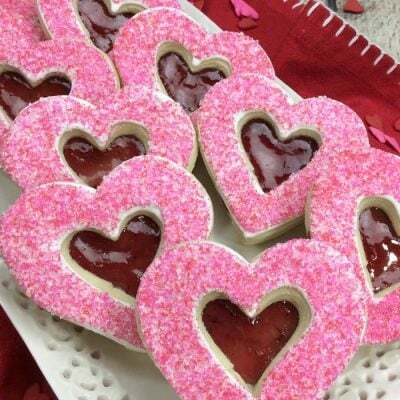 This was so much fun to make and such a fun and healthy treat to make with or for the kids! 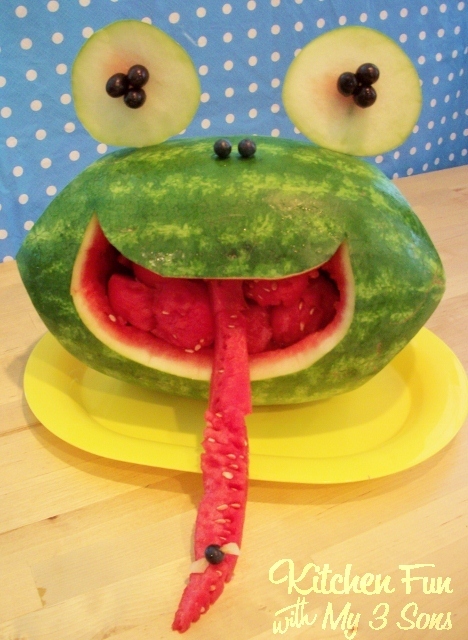 Here are some of of the other watermelon creations that we have made in the past…. OH NO! The Turtle Turned Over! 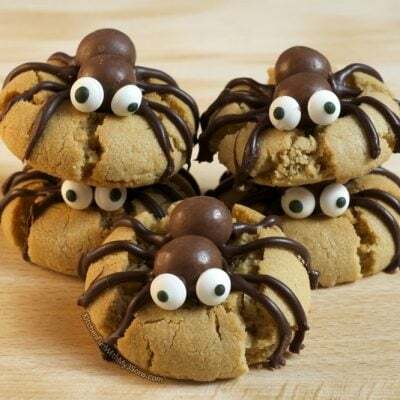 « Previous Post30+ Patriotic Food and Treat ideas! So fun and creative! I love them all! Jill, You are too much! I love Mr. Watermelon head! 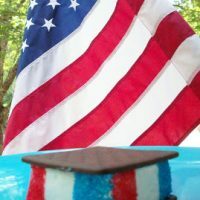 Happy 4th to you and your family! Jill you crack me up! I want to live with you!! I can't even pick a favorite these are all so cute! I love the Mr. Watermelon Head! Awesome job! Oh Wow!!! I LOVE all these ideas!!! 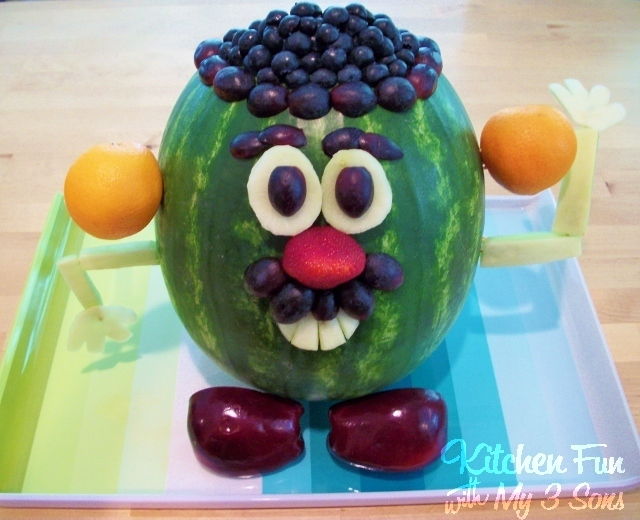 Love Mr. Watermelon head! Food must be so fun at your house. 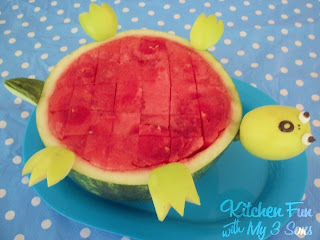 Oh my God, what a great ideas to do with watermelon, I bet your kids love them, I love each of them. Really nice ideas, congratulations you are awesome. I love your fruit creatures! 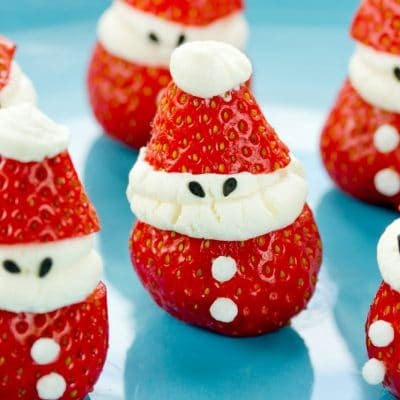 They look so cute and are a better than just healthy desert, something to consider for summer parities! 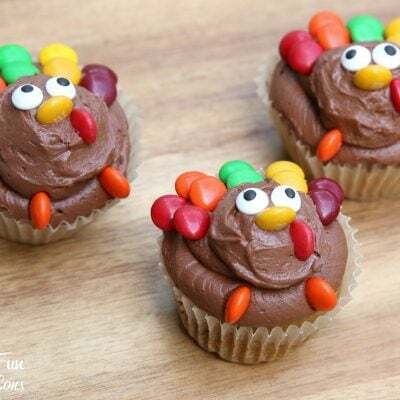 Found you via Tip Me Tuesday on Tip Junky! I am loving all your little fruit creatures!! 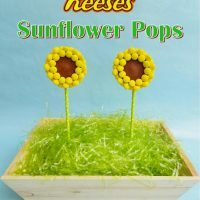 They would be so much fun for a summer party!! Ha, Ha! Love it! I always loved when my parents would make character shaped anything! 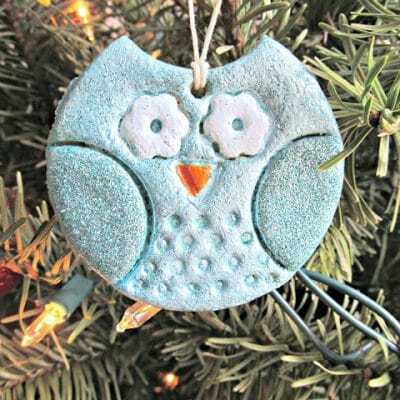 COming to you from the blog hop. Have a great day! Your Mr. Potato Head is not only amazing but soooooooo cute!! You never cease to amaze me with your creativity and the way everything comes together to look picture perfect! Thanks for linking up to TGIF! We hope you'll join us again this week! Well who doesn't remember Mr. Potato Head ? 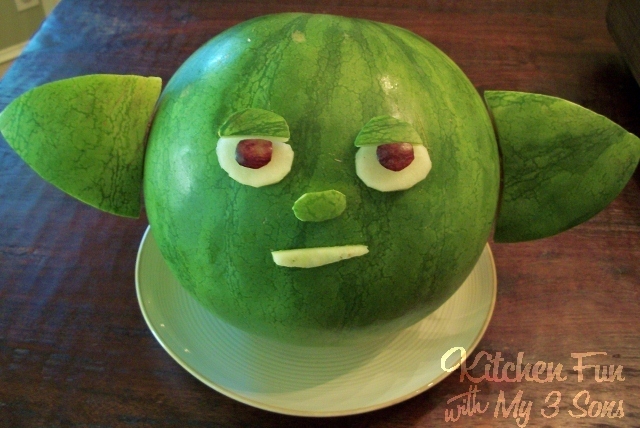 Like everyone else, he's reinvented himself into Mr. Watermelon Head. You and the boys just have the best imaginations. He could also be passed off as the Absent Minded Professor. Very clever usage of all the fruit.